Last month I detailed my first Sephora Play Box and I've just finished testing out and using all the items in November's month so I thought I'd share my thoughts on another one! I'm not sure I mentioned this in my last review but it's $10/month and the sizes range, but mostly they are sample sized. Similar to BirchBox & Ipsy, but I like the products way more and I think the products are a bit better as well! Right off the bat I knew there were two products that I was going to like because I've already used them before, but there were three more I was excited to try! 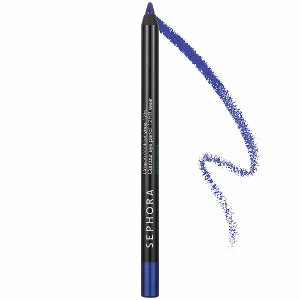 Sephora's Contour 12 Hour Eye Pencil was the first item I spotted - probably because it's blue! It's actually because of the color I immediately knew I wasn't going to be using it, but my sister would look amazing with this color on - so it was given to her! 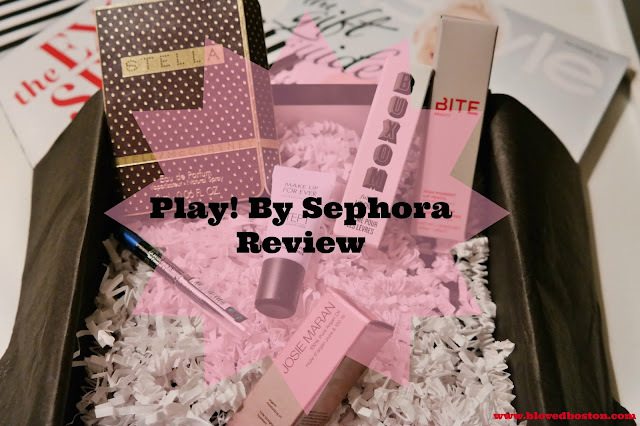 We all win with Sephora boxes!! I have tried a few other colors in the past and Love Affair (Plum) is one of my favorites! I've tried other lip plumpers in the past and actually hated the stinging feeling after putting it on. Feeling like you're being stung by bees is never fun regardless of the fullness that your lips take, but I figured a way to not let this product go to waste. I apply a little chapstick on before applying the buxom lip cream and I still get the plumpness without the stinging! It's just a nice clear gloss without any glitter so I really liked that as well. So this was a win! I love Make Up For Ever products but I had never used this skin equalizer. I had just run out of my primer and used this in it's place. I felt like my makeup lasted longer (without using a setting spray) and kept my skin feeling very hydrating without making me look slick and oily! I used this up in a week and they do have a travel size for this primer - so I'll probably try it out one more time before committing to the larger size. 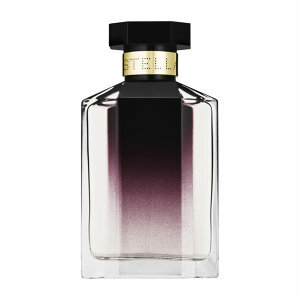 This month's fragrance was Stella McCartney's - Stella. This smells amazing! It has the best mix of feminine (soft) and edgy notes and the best part is that it comes in a roller ball so you don't have to pay the $72 price tag for the full bottle! Apparently the scent of roses acts as antidepressant and inspires happiness. All the more reason to always have fresh roses in the house! 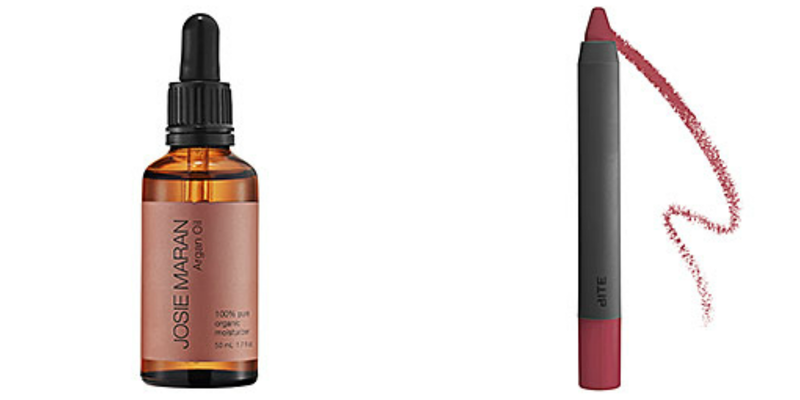 The two products I couldn't get enough of were Josie Maran's Argan Oil & Bite Beauty's High Pigment Pencil because I've bought them before and love using them! I have 6 different colors of the lip pencil and it's the best colors you can buy and extremely pigmented! I can't get enough and in this box we actually received a full size of the color! I've purchased the oil for myself, my sister and my mom in the past so it's safe to say we are all fans of this stuff! I love how many different uses there are for argan oil - use it for your cuticles, your hair (wet or dry) or anything else that needs moisturizing! This was the "Exclusives" box - meaning the products are exclusively sold at Sephora. Over all I was extremely happy with this box and found a couple new to me makeup items I can't wait to get again!! December's box is currently on it's way to me - here's hoping for another great one! Have you tried any of these products? Are you getting Play! by Sephora yet? What a fabulous box, lady! I'd totally do this subscription box if it were available in my area. The primer sounds great and I love a good lip pencil too! You got some goodies; some faves of mine and some I want to try. I've seen all the lip pencils but haven't bought any, that pencil looks like a great one and I love the color! I love all Josie Maran products and that oil is so wonderful!! Speaking of wonderful, like you, may your day be fantastic!! Love that lip pencil! I will have to look for it next time I am at Sephora! There are several things I like about this box. The price point is great, and those are all brands that I love! Great box overall! My friend's signature perfume is Stella and it smells heavenly!! I have tried blue eyeliner a few years ago and I like wearing it in the summer sometimes. Great review! Like you, I was super excited about everything that came in this month's box! Stella smells absolutely amazing and I love it, which isn't the best thing considering I already own way too many perfumes. The Argan oil has been another fave of mine this month. It's perfect for these drier winter months. I haven't heard of this yet but after reading the review I am going to have to give it a try! These boxes always look so good! 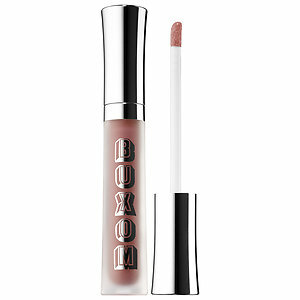 I used to have a mini buxom gloss that I loved, wish I could find it now, haha. And I'm so intrigued by that primer, I've heard a lot of people mention it so I'm glad to hear you liked it. I really wanted to like my Birchbox subscription, but kind of felt disappointed. I love Sephora (I'm sooo close to the next reward level! ), so I bet I'd like this! you already know I love the buxom lip creams! glad there were some hits in this box. i love bite beauty! um what a great box! that perfume looks awesome and i love bite pencils too! for $10, you really can't beat it! wow!! This seems like such a great subscription box, I wish it was available where I live. I've never heard of a skin equalizer, but it sounds like something I need in my life. You got great stuff in this box! I really want Sephora to open up more spots for this! The Buxom lip cream is my favorite! The stinging isn't bad with that one and it always looks great. You got a good box this month! That perfume sounds like it smells amazing! 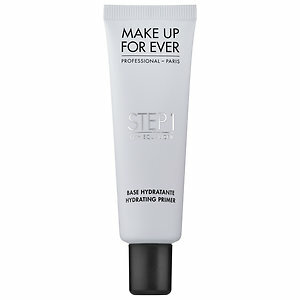 I definitely want to try that make up forever primer! I've been looking for a good one! What an awesome box! It really feels like your lips are being stung? Oh wow... that's kinda crazy! So Sephora has it's own Birchbox? Or are these full sized? I ditched my Birchbox well over a year ago because I was sick of samples, but if I got a full sized bottle of something I didn't like or use, I'm not sure that's better! How does the price compare to the $10 Birchbox? Have to love when the products are a win! I haven't ever heard of any of them, so it is nice to hear reviews and about new products! Looks like I may be needing a trip to Sephora! I love hoe diverse subscription boxes are and you cannot beat the 10 dollar price point :) That roller ball with Stella is clutch! So many of my favorites in one box! I love those Buxom glosses, MUFE primers and the argan oil! I can't wait for Sephora to open these boxes up to everyone!! that is brilliant to apply chapstick before the buxom stuff. i hate that stinging feeling as well, i'll have to try the chapstick trick! What great products to receive for only $10! That Bite lip color looks absolutely gorgeous and rich...a perfect color for the holiday! This looks like such an amazing box, Biana! The Stella fragrance sounds amazing and I've heard so much about Make Up For Ever products, I need to try them! I have that Buxom lip product & I like it! Sadly we don't have a Sephora here so this would be a great way for me to try out their products! nothing like a fun box of goodies! I love the Argan Oil and can't say enough good things about it! Buxom are some of my favorite lip glosses. I personally don't think they sting very much compared to others and think they make the most gorgeous colors! What a great little box!! I would take Bite Beauty ANYTHING and that's nice that you got a little fragrance too. Ahh literally wearing that lip gloss right now. Oh this is awesome that Sephora does one of these. That blue pencil is awesome!! I really want to try that skin equalizer, too. I have not subscribed to this service but now I'm thinking I might! I loveee Jose Maran Argan oil and Bite pencils! Some great goodies you got in this box! I want to try the lip plumping gloss! I love the Buxom lip colors but I haven't tried the lip plumpers. Leave it to Sephora to build the ultimate beauty box...such a great stash!! I've been trying to decide if I wanted to do a box subscription because I get so flustered every time I'm in Sephora or any other makeup store. There is just so much to try!! I love the range of products they gave you! Wow. For $10/a month?? I think it's worth it! I think this might be the box service I try! I love that blue liner! This is a great box. I love the buxom gloss. Definitely blows the birch box out of the water. Those are all high end products and really good price point! I don't do beauty boxes because I just don't wear enough makeup to make it worth it, but I can agree that argan oil products are the bee's knees! I love the Buxom! I want to try that perfume too! Thanks for sharing your November box with us, Biana! That Stella perfume sounds wonderful and I love the packaging, too! Who doesn't love the smell of roses?! I hope you're having a wonderful day so far, beauty! Hahahaha, is it weird that I like the stinging feeling on my lips from the lip plumpers?! I love all of this stuff! Eeeek, I hate that I missed out on this box. Mine got lost during shipping. But my December box was shipped today, crossing my fingers! The Bite crayon looks so darn pretty! Wow, I definitely think this a subscription box worth looking into - I'm impressed with all the products! That perfume sounds perfect, and gotta love those Bite Beauty lip pencils. This box looks amazing!!! When are they going to allow the rest of the country to get in on the fun?!?! I love Boxum and MUF!!! This is awesome! I haven't heard of Sephora play yet but I'll have to try it out! I love Buxom lip glosses!! Also, I wear Stella...have for a few years and LOVE LOVE LOVE it! A beauty box for $10? Wow! Sounds great. BUXOM is my go-to gloss! I totally agree with you on the stinging. Now I need to look into that pencil. I've been obsessed with NARS lip color in a very similar shade! Definitely want to try out that buxom gloss - I love the idea of putting the chopstick on first! The skin equalizer sounds super interesting...definitely have to check that out! Such a fun subscription box! Oooh lala, I'm so glad you did a run down of this box! I am SO subscribing once I get home. I love they the products are so good - I feel like Birchbox always had brands I had never heard of. I think you need to post a photo wearing your new Bite lipstick! I'm so obsessed with their products, and the Buxom glosses are amazing too! Def worth the $10! I love Bite lip products! For only $10 you can’t beat all of this! Ok....how did I not know about Play! by Sephora?! I feel like this is life-changing news! LOVE Buxom gloss AND Bite products. My absolute favorite! This looks so neat! I made an order from Sephora yesterday -- can't wait for my stuff to get here! I kind of want to try that Buxom gloss! What a fantastic review and extremely great products too. I really want to try the Sephora box monthly now. It is only ten bucks right? How do I sign up for it babe? Great review! I hadn't used that eyeliner before but now love it. It's so much cheaper than the one I have been using. I'm so loving my play subscription box. I cannot wait to get my December box. Ooo I will need to try that makeup forever primer. I LOVE their foundation so I bet I would like it. I've been using the smashbox primer for like 2 years so its probably time to try something new! LOVE Sephora. They have so many fantastic things! I also have that blue eye pencil and use it weekly. This is such a great box, the products are awesome love! So many great samples, that Stella McCartney fragrance is amazing! LOVE Buxom! I used to wear Dolly all the time! Awesome box! The Stella fragance smells amazing! Good idea putting the chapstick on before the plumping gloss... I'm not a fan of the stinging either. I'll have to try that! I've heard REALLY good things about that primer. It's on my list of ones to try! I've never signed up for one of these boxes but for only $10 you are definitely tempting me! !